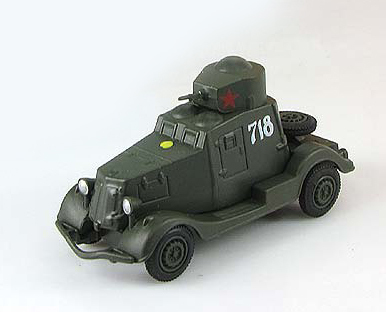 The FAI (Ford-A Izhorskiy) armoured car was a replacement for the D-8 armoured car, used by the Soviet Union from the early 1930s to early 1940s. The FAI was built on the chassis of the GAZ A car, a licensed copy of the US Ford A. This chassis was the major weakness of the FAI. Most commercial car chassis were not powerful enough to move a useful amount of armour or firepower on the battlefield. The Germans were known to get round this particular problem by designing a car chassis that was intended from the outset for both civilian and military vehicles and which was used successfully in at least one German armoured car family of this period. 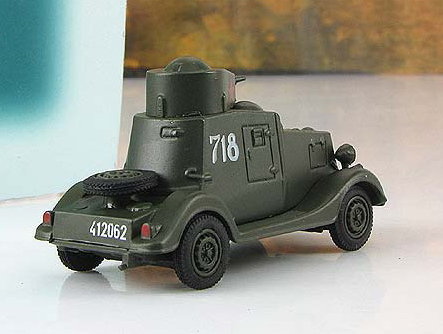 However, armoured cars based on commercial car chassis were for the most part, road-bound, thinly armoured and lightly armed. 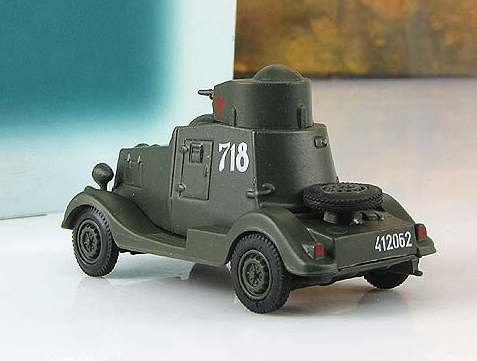 The FAI was a typical example of this class of vehicle with a single 7.62 mm DT machine-gun in a revolving turret. The armour was sufficient to stop most shell fragments and small arms fire, but could not withstand any kind of cannon or heavy machine-gun fire. It was also very vulnerable to mines. The FAI was built in relatively small numbers before being replaced by the very similar BA-20. The early BA-20 had the same vertically sided turret as the FAI. FAIs were employed in the early days of fighting on the Eastern Front in World War II. The Germans used some captured vehicles of this type, at least one of which was taken over by Polish forces during the Warsaw uprising. The FAI and BA-20 series had a few advanced features. They were of all-welded construction in an era when very few AFVs were welded. Also, they had cork-filled tires to enable them to retain mobility even if the tires were penetrated. The FAI and BA-20 are often mistaken for each other. The main recognition feature of the FAI is the two dome-shaped armoured covers over the driver and co-driver's stations. The BA-20 had a flat armoured roof in this area instead. 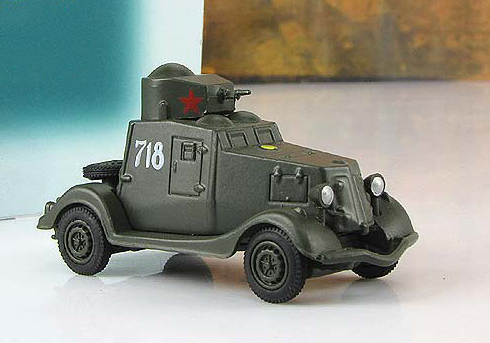 In 1935, the Design Bureau Izhorskij plant was proposed to develop a new armored vehicle based on passenger car GAZ-M1, production of which began at the Gorky Automobile Plant. By the end of the year was designed armored vehicle that looks like the FAI, but differs from its predecessor more spacious fighting compartment, reshaped turret and possibility of the radio station. In early 1936, this car was put into service under the name of BA-20 and went to the series. But as a result lack of coordination of different enterprises, the production of armored hulls for the FAI to Izhorskij plant some more time went on. When it is was finally stopped, it was found that in the shops of the plant has accumulated more than three hundred armored hulls of these machines. 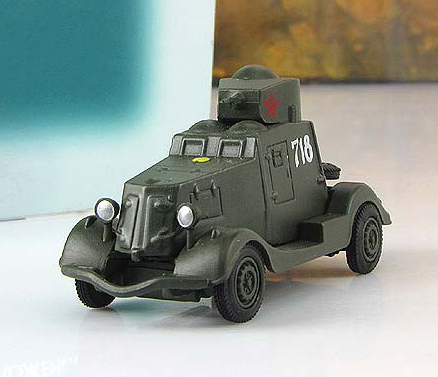 Since the release of "Ford-A" by then already been stopped, it was decided to establish the existing armored hulls on the chassis of the M-1. In November 1938 - January 1939, a "hybrid" armored car was tested at firing range in Kubinka received positive reviews of the military department - and was accepted for service. Hybrid, called FAI-M differed from the progenitor of a long base, on the back of which was mounted an additional fuel tank and bracket for mounting the spare wheel.